Be careful where you sit the next time you take in a movie at the Strand Theatre. The staff report seeing a ghostly woman still sitting in her favorite spot, wearing a large red hat every time she appears. Can you find her in the photo? 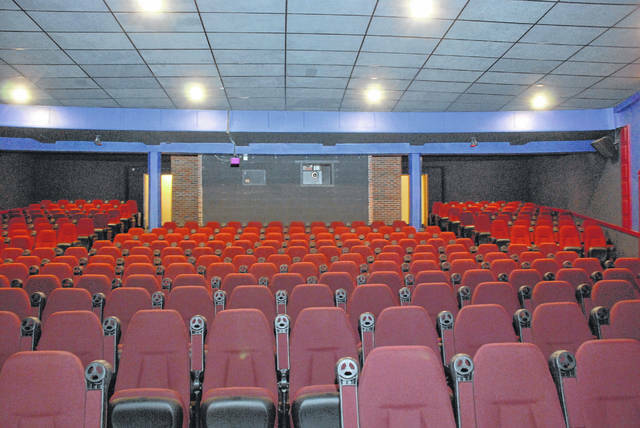 The Strand Theatre has been a hub of paranormal activity in Delaware, according to people who have worked there over the years. Reports include ghostly children laughing and playing in the main theatre and people observing old patrons that return for a show on occasion. Have you ever felt as if you’re being watched or someone has tapped you on the shoulder, then you turn around, only to discover there’s no one there? It could have been Rodney asking you to move out of the way so he can see the movie. Who is Rodney, you ask? He’s one of the ghosts that resides at the Strand Theatre. Henry Bieberson Jr. opened the Strand on April 10, 1916, and today it is one of the 10 oldest independent movie theatres to continually show first-run movies in the United States. It’s also believed to be haunted. It stands to reason that the 101-year-old building’s moans and groans could be the building settling or when doors close on their own it’s just a draft causing that. But once the disturbance is investigated and the cause can’t be explained, it must have been the ghosts doing what they do best. Ready. Set. Haunt. 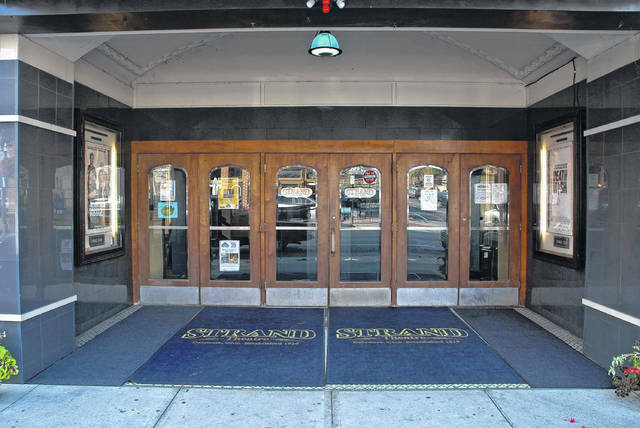 Managing Director Tracey Peyton said doors slamming shut when no one else is around is a normal occurrence at the Strand Theatre. She said the ghosts are mischievous, playing tricks on theatre staff by moving things from one spot to another. “I’ll put my keys in the box office, turn away, when I turn back around they’ll be somewhere else,” Peyton said. She said there are times when staff will play music and suddenly it will stop. Once all is quiet, the sound of children laughing and playing can be heard in the main theatre. When the doors are opened to look for the children, the noise stops and there’s no one inside. Not only have people heard the sound of children playing, Peyton said, but a child has been observed by more than one person on more than one occasion. She describes the boy as being small with a bowl haircut, wearing suspenders and a pair of old fashioned knickers. “He’s been seen in the side theatre by the projection booth,” she said. Peyton herself has seen an elderly gentleman wearing similar period clothing to the little boy. She said there were two employees, who had never met because they worked at the Strand several years apart, who both confessed to seeing the same old man. Jada Millisor is the fifth generation of her family to work at the Strand. She had an encounter with a woman who sits in the balcony in the same seat wearing a large red hat every time she appears. The speculation is she is waiting for someone to join her in the main theatre. Currently, the balcony of the Strand is being renovated. Peyton thinks all of the construction work could be stirring up the ghosts. Once the work is done, she plans to invite a reputable paranormal group to come and spend the night in the theatre. John B. Ciochetty, Delaware’s local ghost expert and author of “Ghosts of Historic Delaware Ohio,” told a story about a young man who was chased out of the theatre by one of the ghosts. Ciochetty used to work at the Ohio Wesleyan University Campus Safety Department. He experienced several paranormal encounters on campus. That’s what inspired him to write books about paranormal activities at the university and around Delaware. Ciochetty said he is the biggest skeptic when it comes to noises in a building. During the interview at the Strand, Ciochetty suddenly turned away to look out the doors of the main theatre, just behind the box office in front of the lobby. Near the end of the interview with Peyton and Ciochetty, Delaware City Attorney Darren Schulman walked in to chat with Peyton for a moment and grab some popcorn. He, like so many other youth of Delaware, at one time worked at the Strand. One night Schulman had the opportunity to camp out in the Strand with a paranormal group that was investigating strange activities in the building. “There was definitely some creepiness,” he said. This entry was tagged Ciochetty, Ghost, Halloween, Movies, paranormal, Peyton, Strand. Bookmark the permalink.